Dr. Laura Flanagan loves her work as a Naturopathic Physician. She spends time learning about her patients, asking not only about their presenting symptoms but also how their diet and lifestyle, stressors and joys play a role in their illness and wellness. This level of understanding about patients' concerns is essential for developing treatment plans based on their individual needs. This also allows Dr. Flanagan to help empower her patients with the knowledge and tools necessary to take control of their health. With a special interest in digestive health, women's health, allergies, autoimmunity, endocrine imbalances and the role environmental toxins play in chronic illness, Dr. Flanagan is able to elicit the root cause of complex cases. Naturopathic Medicine blends the best of both conventional and natural medical models to provide high quality primary care. It is her goal to provide you with thoughtful, compassionate care, to refer to specialists as needed and to communicate with your other healthcare providers so that the healthcare you receive is synergistic and integrated. 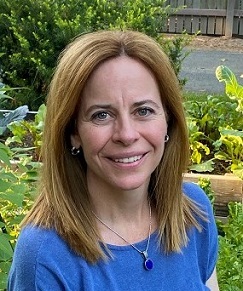 Dr. Flanagan received her Bachelor's of Science from Tufts University and her Doctor of Naturopathic Medicine degree (N.D.) from Bastyr University in Seattle, Washington in 1998. She served on the Board of Directors of the Washington Association of Naturopathic Physicians from 2011 to 2015 and is a member of the American Association of Naturopathic Physicians.